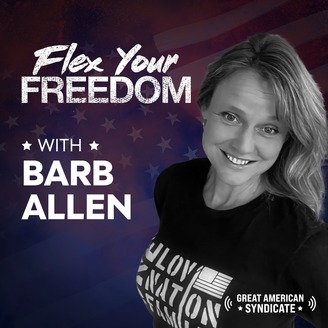 Barbara Allen is an award-winning author, speaker, and Gold Star Wife. Dave Brown is a real estate investor and lifestyle entrepreneur. Together they bring you inspiring stories and authentic interviews from exceptional Americans, entrepreneurs, celebrities, leaders, military heroes, and influencers who are living the American Dream. Barb and Dave are committed to their mission of helping people pursue more out of life, support those who honorably serve, and spotlight all the extraordinary things Americans just like you are doing to make this country a better place. Whether they are celebrities or small town heroes, each guest is a shining example of the American Spirit. Let Barb and Dave show you how to dream bigger, live better, and make an impact. If there's an upside to adversity it's the growth that comes with it. 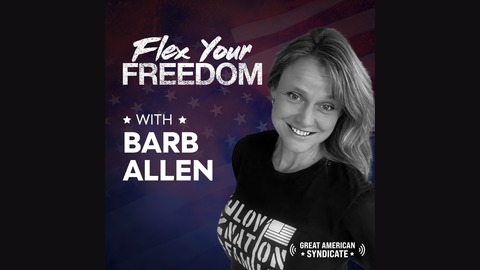 Barb Allen has had her share of adversity - so much that she almost gave up more than once when she felt outgunned in life. But as she shares in her keynotes and our own events, it was only when she felt the most defeated that she decided to do whatever it took to take her life back. Listen in as Barb explains the lessons she's learned not only from her own life but from the hundreds of people she's interviewed, counseled, studied and befriended, the five Zones of Balance between Expectation and Reality. Barb explains how every decision made reflects the mindset of that zone we are dwelling in at that time, and how to progress from the lowest to the highest level in life.